Two married couples and a helicopter. This is not the title of a new movie but a special way of living one of the most memorable days of their life. An original alternative to the classic vintage car to surprise your guests with a grand entrance. 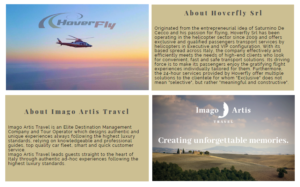 More and more couples and newlyweds request this exclusive service and Hoverfly, that has got one of the most innovative helicopter fleets, is the best choice to enjoy it. Beauty and comfort: great location for wonderful photos. Pictures, you know, are fundamental for keeping alive the memory of a unique day and the possibility to take them in flight means to capture sensational views of beautiful places. When you land emotions rise, because you can enjoy the view of really fabulous landscapes like, for example, Venice, the villages and the Tuscan vineyards, Villa Cimbrone, Ravello or the famous “little square” in Capri. 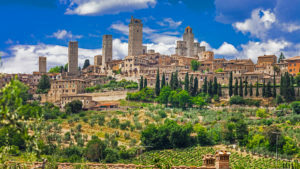 Italy is so rich of beautiful locations where your dream wedding can be planned that the only question is to choose where to land. Moreover, helicopters are an excellent solution to the problem of “time”: how many times, newly married couples keep their guests waiting hours before getting back to the reception in order to go somewhere and capture their romantic shots? 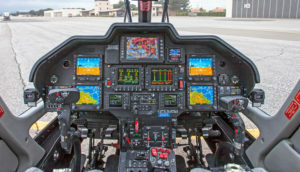 The helicopter, on the contrary, allows to quickly reach any location and to move equally quickly from one to another glimpse. But advantages don’t end here. Your dream day can become even more beautiful! With our vehicles equipped with VIP and soundproofing interiors that can accommodate up to eight persons, witnesses and bridesmaids can also jump on board to fly and get excited with the bride and the groom. If you are planning your wedding and you want to make it even more memorable, take advantage of this exclusive service by choosing Hoverfly, of course. please send us an e-mail at info@hoverfly.it. We’d be happy to answer all your inquiries.